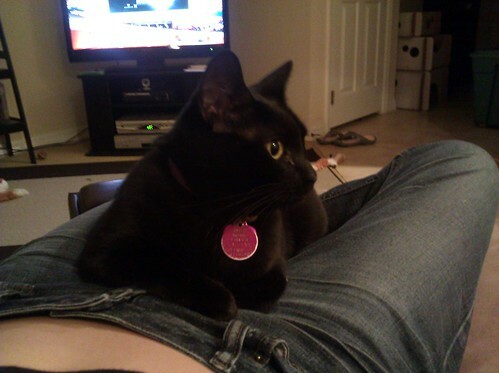 nephthys rarely sits in my lap. probably because it's usually filled with dogs. but i guess she realized that this weekend was a special occasion. four years ago, i got my halloween kitty. happy gotcha day beautiful girl.